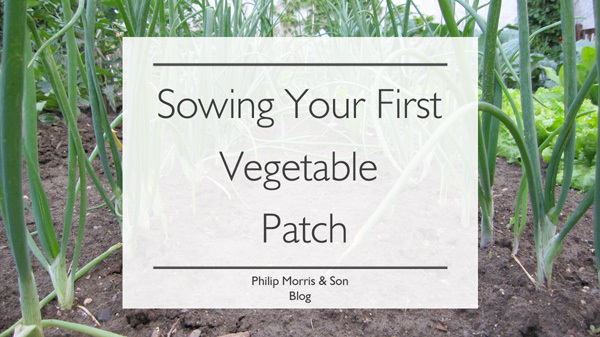 Choosing where you plant your veg patch is a significant part of getting started. Fruit and veg require a vast amount of light, so you are going to want to choose a south facing section of your garden. If your patch isn’t exposed to the right conditions it could result in a poor harvest (or no harvest at all). * The spare meter is for your wheelbarrow to access your veg patch. Hammer a post into each corner of your plot and along the edges to create a raised bed. Fill each raised bed with top soil, manure, and compost to ensure a healthy and rich harvest. 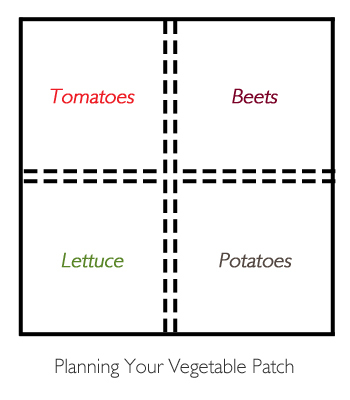 This is a very effective way to plan out a vegetable garden as the raised beds will allow the soil to warm up quicker. It will also create a more controlled environment for growing fruit and veg. Now that you have your area planned out, grab a spade and start digging! Make sure that you clear your patch completely of grass and weeds, as they can damage your produce or even stop it from growing all together. Always keeps an eye on the growth of weeds, as soon as you see them remove them immediately. A vegetable patch may seem like a simple concept; however you shouldn’t just plant any type of vegetable at any time of the year. Everything depends on when you buy/start growing your produce. For example, if you buy a pepper plant in the colder months of the year, you are going to need to grow them indoors (or in a greenhouse) first before they are placed outdoors. For your first vegetable patch you will only need to grow a handful of vegetables, start off small and see how it goes. Your collection can always be added to the more experienced you become. Top Tip: You can plant gooseberries, red currents, lettuce and spinach in the areas of your veg plot that gets shade throughout the day. When sowing your seeds keep each variety of vegetable together; do not mix them with other seeds. 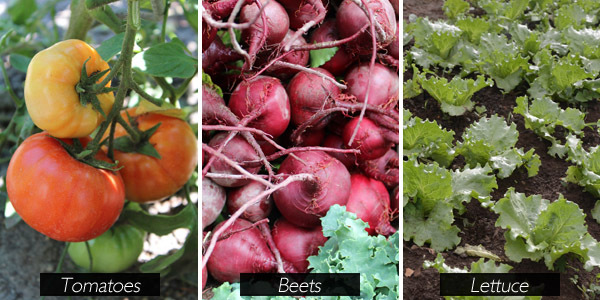 Remember to label your sections so that you know what type of vegetable you have planted, and where you have planted them. Top Tip: If you have a small plot you can plant tomatoes in tubs, and tumbling tomatoes in hanging baskets. Bear in mind that crops should be rotated around your patch each year when possible. This is because different parts of your patch will contain various types of nutrients, so by rotating them your veg is getting the best of everything. 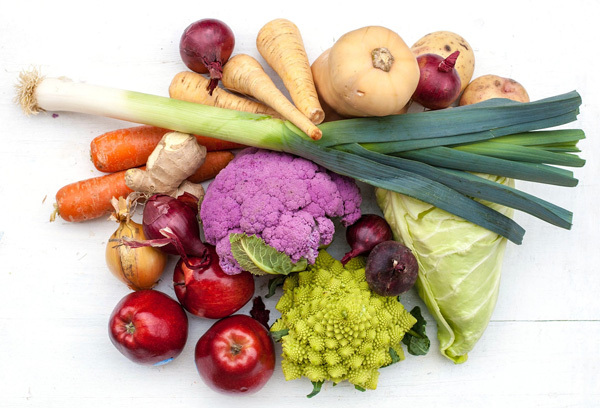 When it comes to picking your harvest make sure that everything is ripe and full of colour. Last but not least find a refreshing summer salad recipe and create a mouth-watering dish from your lovely produce. Beetroot, gardening, Planning Your Vegetable Patch, Potatoes, Sewing Seeds, Summer Salad, Tomatoes, Vegetable Patch, Vegetables. Bookmark. Hello hanna you’ve shared some of the great information here. growing indoor using LED Grow lIghts and grow box setup. It’s going to be my first harvest this month. I’ve planted some veggies and some herbs there. You have shared great information on the article.